I've been funding my travels with no-risk matched betting since 2016, If you need any help with matched betting Australia, please leave a comment below, ask in the Facebook group or the forum! What is No Risk Matched Betting Australia? How Is No Risk Matched Betting Risk Free? Is Matched Betting a Scam? How to continue making profit with no risk matched betting? 2) Anybody with a residence (even a working holiday visa) in Australia can make up to $175 in 30 minutes. Just by following this 8-step no risk matched betting Australia guide. 3) Don't rush it. The tutorial is detailed but the process is simple. Take your time and make sure you understand how it all works. 4) After we extract the profit from the first sign-up bonus bet, we then replicate this technique with the other bonus bets offered by the rest of the Aussie bookmakers. 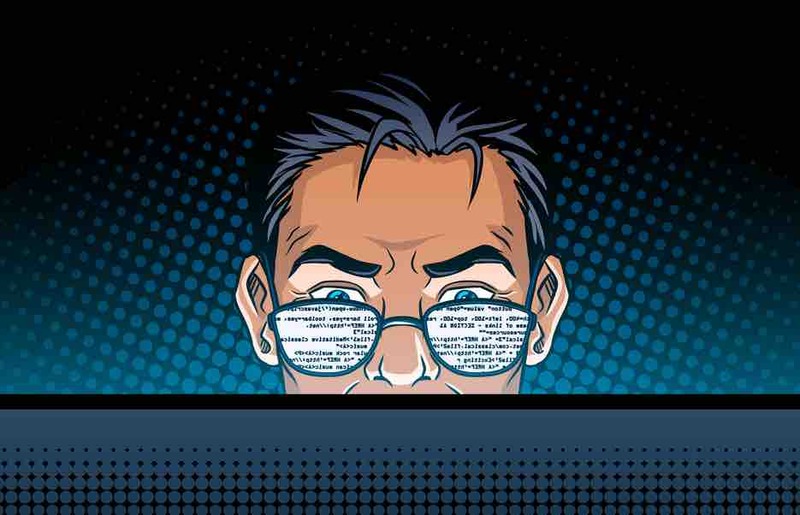 5) The only risk is human error. Any questions, leave a comment below or ask in the Facebook group. We make our money through the ‘generosity’ of the online bookmakers. Each bookie offers a sign-up bonus usually matching your first deposit up until a certain amount. (Eg. if your Qualifying Bet is $100 you will be awarded a Bonus Bet of $100 = $70 no-risk profit). So we leverage these free bonus bets and turn them into cash without risk. Generally, the bookie wants you to bet through your deposit first to qualify for the free bet and to withdraw your initial deposit. Don’t worry though, we’re too clever for that gambling nonsense. This is why we place a back bet with the bookmaker and opposing lay bet with the Betfair exchange. This means we cover all potential outcomes of the game, ensuring we do not lose our original deposit. This then unlocks our bonus bet so that we can turn it into real cash without any risk. This is the best first question to have when you hear about making money online. I can assure you matched betting is completely legit, and it's already very popular in the UK. It's relatively new to Australia. It is simply the process of turning welcome offers into cash. Don't take my word for it, no-risk matched betting has been covered a lot in the media already. Yes, you’re free to do what you like with your sign-up bonus bets. The bookies would rather you gamble it blindly. However, in this tutorial, you will see how we can guarantee a profit from it. Just by using the simple strategy in the no-risk matched betting Australia guide below. This is a betting exchange where you can bet against other people and play the role of the bookie. This is where we place our opposing bet (the lay bet) to cancel out our initial back bet with the bookmaker and cover all possible outcomes of a game. If you’re still unsure, you can read more about how the Betfair exchange works. You can also sign up to get started with Betfair here. This is a standard online bookmaker. These are the companies we sign up for and turn their welcome bonus bets and promotions into risk-free profit. We achieve this by using the matched betting technique and arbitrage explained in the 8 step guide below. We will be using the Bluebet $200 bonus in the guide as they are the easiest to begin with. If you already have a Bluebet account you can use any of the sign-up bonus bets here to start. The back or backing bet means that you are betting on the outcome of the game. We place this with the online bookie who gives us a welcome bonus. I back a bet that Manchester United will WIN with Sportsbet. This is simply a term for placing a bet that an outcome will NOT happen. We do this on the betting exchange. Betfair is the exchange we will be using. This means that you are able to place a bet that covers the opposite outcome of the back bet. On the exchange, I lay a bet that Manchester United will NOT WIN. This means that Chelsea winning and importantly the Draw is also covered. Some bookmakers want you to reach a certain amount of bets on your account before they allow you to withdraw your profit. Sometimes this is 2x the amount. So if your bonus bet was for $20 you have to make $40 in bets before you can withdraw. In most cases it is only 1x and just doing 1 qualifier bet is enough. If we win when we place our free bet and the money ends up in the bookies and not the exchange we have to repeat the qualifier bet once more. This is how we reach the turnover amount and extract our winnings without risk. I have added the easiest sign up bonus bets here to profit from with no risk matched betting. These have the lowest turnover requirements (only 1x) making them easy to extract +70% profit. NB. T&Cs can change so always read the terms and conditions. Mainly looking out for the minimum odds and turnover requirements. This is the money you need to have in your Betfair account to cover the Lay bet. The bigger the bonus, the more more money you need in Betfair to make sure the Back and Lay bets cancel each other out. Our matched betting calculator provided in the steps tells you the exact amounts needed. If we use a free bet of $10 at odds of 5.00(4/1) we will win $40. So to lay this bet to cancel out the chance of it losing and ensuring we can get our free bet we must put $40 in the (Lay amount) Betfair account. Eg. If the 5.00 back bet wins in the bookie we would win $40, to make sure we are not risking anything. We need to lay the bet at 5.00 on the exchange with a lay stake of $10.00. So in this example, we would need to put $40 into Betfair exchange to neutralise the bet. Once this bet finishes our money will be either in the exchange (Betfair) or the online bookies (Bluebet). Then we withdraw our initial deposit and repeat the process to turn the bonus bet into cash with no gambling. It may sound complex at first. Just take your time and follow the steps as they are laid out. So to complete the tutorial we are going to be using the soccer market and Pointsbet. We also need to calculate how much to lay on the exchange to cancel out the back bet as odds vary on both sites. We have the matched betting calculator that does all this math for is for us, this is explained in the guide. For the matched betting Australia guide below, I deposited $100 granting me a $100 free bet (with this I can expect around $70 risk-free profit). If you deposited any other amount and were awarded a different bonus amount, just replace that with the $100 in my examples. Remember you do not lose or risk this initial deposit, you get it all back with your profit. We'll use Pointsbet to start. You can get anything up to a $200 bonus bet awarded with each of them. 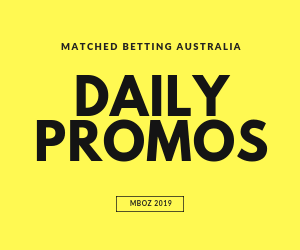 Simply sign up and depending on your state you might need to ask on live chat for your bonus bet, or sign up to both and wait for one to email you a promotion email if you're in NSW. Click Here To Get Your Bonus Bets. Betfair is the only exchange I would recommend for matched betting Australia, they are the most popular by far and always have the most liquidity. This is where we place our opposing lay bet to cancel out the back bet with Pointsbet. This is essential to make things easier when using the matched betting calculator later. Most sites use decimal as default. If the odds are displayed in a fraction there is usually an option in the settings that lets you change this. The chat support feature is excellent on most betting sites though so any issues finding it you can just ask. The closer the odds the smaller the qualifier loss. So for this step, we'll need to find a game with close enough odds to back and lay to make sure we extract our initial deposit without risking our cash deposit. We can do this manually by searching for close back and lay odds on Pointsbet vs Betfair above 1.5. Alternatively, we can do this with free software by using the free 3 day trial of Bonusbank by clicking here. Just enter the code ALERTSOZ when signing up, you can cancel or downgrade to free as soon as you find your bet. Choose "The ATM" from the Software tab & choose Pointsbet from the dropdown bookmaker menu in the image below, we can see the game that will let us extract our deposit by making the smallest qualifier loss possible. Two things are important here. We want to find the game with a very low “qualifier loss” to maximise our total profits. We need the closest back/lay odds possible as close to just above 1.5. Note 1 - In the Oddsmatcher when it mentions a team name under the tab “Bet” this is who we back. If it says draw then we back the draw and then lay against a draw on the Betfair exchange. Note 2 - The red number under "SR" is the amount we lose for every $100 staked no matter the outcome. with this bet we lose $5. However we can now withdraw $95 of our initial $100 deposit. Now we have the $100 bonus bet to make our $70+ guaranteed profit with in the next steps. I now enter these odds into the Matched Betting Calculator in the next step. Leave this tab open, as soon as you pick your match, write down the back & lay odds and come back for the next step. This tells you how much to place on your lay bet on Betfair to cover all outcomes and ensure you don't lose your initial deposit. You can expect to make a small “qualifier loss” aim for less than 5%. Considering you will be getting a 70% profit from the bonus bet this is not an issue. This is the calculation I used for the $100 example for the Valencia v Celta Vigo game in the previous step. I found on the Oddsmatcher. Simply change the stake and odds to the ones you have found for your qualifier bet. You can see here my outcome is a qualifier loss of $5 and then I am awarded the $100 bonus bet which we later turn into a profit. Below is my example from the Betting Calculator. Back stake – Enter the amount of money you are betting to obtain your free bet, in this example it is $100 to obtain a $100 free bet. Back odds – Enter the Back Odds you have written down. Lay odds – Enter the lay odds you have written down. Liability - this is what we lose on the exchange if the Lay bet loses and the back bet wins. If this happens we are liable to lose $77 on the lay bet with Betfair but we will then win this amount on the back bet (Pointsbet) and the loss will be cancelled out. After this is calculated you can see that the stake I need to lay on Betfair is $100 at the odds of 1.77. Use the arb calculator to find out what you need to lay on Betfair to cancel out your back bet. Again, make sure the bet type is set to “Qualifier/Arb” for this step. Finally, we place our bets. Find the game from the Oddsmatcher on both Pointsbet and Betfair. Make sure the odds are correct and have not changed. Place the back bet on Pointebet for the amount that you deposited for the free bet. In this example, I will place my back bet on Valencia with $100 at the odds the Oddsmatcher gave of 1.72. Next, we find the correct odds for the opposing lay bet. When you navigate to the correct game you may have to select “View full market” to see all the lay options. You will see all the betting options for the game. Select the odds in the red box to lay the bet. It is essential you use the red box and not the blue one. We're betting against Valencia winning to cancel out the backed bet we made with Pointsbet. Make sure the odds are the same that the Bonusbank Oddsmatcher gave us for the lay bet. In my case 1.77. Once you click on this and add it to the betting slip to the right you must enter the lay stake that the calculator told us. In this example, it is $100 I need to lay on Valencia not winning. This is the lay stake that the calculator gave us that will ensure the two bets cancel each other out. So now with both bets placed we are left with two outcomes after the game. Either Valencia win the match and the back bet (Pointsbet) wins or they do not win (this covers both lose or draw possibilities) and then the Lay bet wins (Betfair). Below is what will happen no matter what the result is as per the bet calculations we made earlier. As expected, we lose $5 from our initial $100 stake. So we then withdraw our $95 from the bookmaker. The good news, now we have a $100 bet to extract the profit from in the next step. Now with your original money secure minus the small “qualifier loss” we can withdraw this from the bookmaker. Now we can extract the 70%+ no risk profit from the bonus bet. To get the cash from the bonus bet we follow the same steps but this time in the Oddsmatcher we need to find a game with close odds but this time odds above 3,0 to maximise our guaranteed profit on the free bet. I choose Juventus V Napoli giving me a $72 profit guaranteed for any $100 bonus bet. After you find the match, enter the odds again into the calculator but this time select “FREE BET” to get the new calculation. This will tell you the profit that you will make from the free bet. You will never get 100% of the bonus bet value in cash back because the bonus stake is generally not returned, only the profit made from it. NB: You need to enter the stake not returned amount into the calculator, usually just the same as the free bet amount as you don’t get this amount back in your winnings as it’s a bonus bet and not your cash yet. NB: This time make sure the field BET TYPE is set to FREE BET and not ARB/Qualifier. After you enter the odds into the calculator you then make your back bet (Using your full bonus bet amount) on Pointsbet, $100 in this guide. Make sure you select the bonus bet and not real money if you still have any in the account. We then Lay it on Betfair using the Lay Stake that the calculator gives you (In this example my lay stake was $76.19). So as we see in the calculator image above. After this game finishes, by using the no-risk matched betting technique. I'm guaranteed to get $72.38 either with the bookie or exchange from my $100 bonus bet. Minus my acceptable qualifier loss which was $5 I will make a nice guaranteed profit of $67.38. All done, congratulations on completing the no-risk matched betting guide and making your first profit. If you’ve any questions about matched betting Australia feel free to ask me in the facebook group, forum or leave a comment below. Once you made your first profit with the tutorial I would recommend going through the other big bookmakers sign up bonuses before getting into any daily promo offers that we profit from. You can find a list of the easiest ones to complete here. Click Here for the easiest bonuses to start with! Matched betting is a well-known technique to turn bonus bets into no risk profit through arbitrage. Simply follow the 8 step guide and use our free matched betting calculator to learn how it works. Everything you need to get started on your journey is in the guide. If you are putting in $100 of your money and you win $70 from the bonus bet thats not a $70 profit, thats a $30 loss. Sorry I don’t get it. The $100 you put in is returned by backing and laying the first time. By covering all outcomes you ensure you do not lose this. After you then withdraw your initial $100 deposit back, you then use the $100 bonus bet to make $70 cash profit. I hope this helps clear things for you. If you have any more questions feel free to ask in the facebook group here. I’ve done this in the UK and now Im in Australia on a working holifay visa. Will I be able to do this or do I have to have an Australian passport? Hi Ryan, Yes you can do it on a WHV, you just need to get a bank account set up so you can have a letter proving your address in Australia, this with your UK passport should be enough to verify with the bookmakers. Any questions, just ask in the forum! Hi Dave, you are a legend mate. So, I was wondering, if I should choose only sports and events in Australia or the term “racings” applies just for horses? If it is a general sport, I will not be able to bet on mainstream soccer leagues. I would stick with the Sportsbet market just to be sure, if you’re ever in doubt, it can be worth jumping on live chat and asking them to clarify the terms, I usually take a screenshot of the conversation too, just in case. Hi Steven, This is normal, it is also what makes arbitrage betting possible, the difference in odds on one site to another creates an opportunity.The bookmaker like Sportsbet sets their own odds on sports, however, Betfair and other exchanges get their “exchange” odds from people around the world putting up wagers on the site, so the odds will be whatever the market (people) decides. I’ve been matched betting for 6 weeks in UK and have completed most sign up offers available in the UK. I’m flying to Australia next week on a 1 year WHV, would you say there is other bookies perhaps available in Australia that I’ll be able to use for matched betting that I haven’t used from the UK? I’ve noticed on the site Betfair for example, Which I’ve already used to take about $5,000 through the exchange. Hi Ashley, There are lots of bookmakers here you can sign up with, check out the bonus bets section to see which are best to start with. So the more money i put down at first the more i will get back? Hi Jackson, It depends on the value of the bonus bet they offer you. If you’re offered a $200 bonus for depositing $200 there would be no sense in depositing more. You just need the amount required to get the bonus being offered, then just follow the 8 steps to turn the bonus into profit. I live in Victoria, I take advantage of sign up bonuses as they exclude VIC residents. Does this mean I cannot engage in Matched Betting? If you’re having trouble getting a bonus after you signed up, take a look at this. I signed up for ladbrokes and obtained a $160 bonus bet already, through a deposit. Does this still mean I have to do the qualifier bet like the sportsbet examples you showed above. Yes, you will need to do the qualifier bet before you can withdraw your initial deposit and matched betting profit. 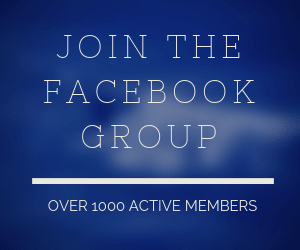 Hi, Great to hear you have made a nice profit, once you get through the sign-up bonuses you can take a look at how to keep making a profit with the daily promotions here or jump into the facebook group here. Can I do this from New Zealand? Hi Alison, Yes the same method will work anywhere you can receive a bonus or promotional offer, however always take a look at the T&Cs of the promos though to make sure NZ in included. I’m from NSW and have got through the Sportsbet and Bluebet bonuses already but im struggling to get the bonus from some of the other bookmakers, william hill just said no when I asked them on live chat, any ideas mate? Thanks for the help getting started. With the spring carnival, a lot of bookmakers were holding back the sign up bonuses because they had so many other promos going on so it might have been more difficult over the last week or two. Should be back to normal now I recently outlined the best way to get the bonuses awarded if you are having trouble getting one in a “restricted state” like NSW, WA etc. Love your work mate. I’ve just started out and am about to make some qualifying bets. I’ve read all the Ts and Cs and have spoken to a few people on live chat. It seems I’ll have to turn my winnings over from the free bet from the majority of the ones I’ve looked at. Is this pretty standard?…apologies if I’ve missed that somewhere in the tutorial. I figure I’d just repeat the steps for the qualifying bet to take another small loss to withdraw free money? Thanks! You are spot on, as per the tutorial step for the qualifier bet you will need to place this before withdrawing, this is to be expected. You should only make a small loss for each qualifier bet (less than 5%) and then you will make the 70%+ profit on the bonus bet so this is not a big deal. Whenever you need to complete a turnover requirements to take profits out you simply place a back and lay qualifier bet. If you need anything else just let me know. Once you place your back and lay qualifier bet you can then withdraw that money from the bookmaker and put it into the exchange, this means you can then use this to lay against the bonus bet, using the calculator to see how much you need to place to retain 70% of the bonus bet no matter the outcome. Hi, I just went through the sportsbet bonus and found it easier than I imagined. Do you recommend leaving your profits in the bookmaker for a while to look like a regular bettor or is it okay to just take it out straight away when you finish with the bonus? I have always just taken the profits out straight away, when I was starting out I would then load them back into the exchange so I can move on to the next bookmakers sign up bonus bet. I never had any issue, in fact I think most regular punters would take profits out anyway so I wouldn’t worry about it. Once I’ve gone through all the bonuses, could I do it all again with my partners details. Most bookmakers will limit the sign up bonus to 1 per household and IP address, you would need to look at the T&Cs before. It is however possible to do it for friends or family who have a different address though. Also in most cases you can still make the most of all the weekly promotions and bonus offers though. I have finished the Sportsbet bonus offer and made a tidy profit, is it possible to just sign up with another name and just do it again? You need to verify each account you make with the bookmaker using your ID and proof of address when signing up. This prevents people from making multiple accounts, it is also against their T&Cs so not possible. Once the sign up bonuses are dried up take a look at the Daily offer and Blog page to see how to keep making profits from the weekly promos. I was so close to getting started however my attempt was halted by the Oddsmatcher restrictions. Since I went with the free version, the only bookmakers it allows me to view is Betfred and Coral. What can I do to view Sportsbet? Please keep in mind I did not forget to filter the results. The Oddsmatcher simply prohibits the use of Sportsbet and Betfair analytics without a paid membership. Just send me an email at Dave@matchedbettingoz.com when you want close odds for the qualifier bet and I will search some for you. You Dave are a dead set legend. But after it was all done we made over $370 in profits. Im still nervous because of T/C’s, differences with bookies and worried ill make a mistake with not picking good enough odds but as long as I take my time and follow your steps I’ll be sweet. Only tough part is finding the right match to bet on with the best return and not needing a massive liability…..free money cant always be that simple hahaha. More times i do it the better. Thanks again Dave your AWESOME. The best thing is now you can just repeat the same steps if your mate sets up his account and gets a sign-up bonus for his account. If you are ever worried about T&Cs just make sure to jump on live chat and ask them the minimum odds and turnover requirements, then take a screenshot just in case they change them (never happens, but for peace of mind). Just stick with the mainstream bookmakers and you will be fine. Sportsbet, Crownbet Tab, William Hill & Luxbet are the first ones I would get through. When you get these 5 bonuses finished you will be well in the profits and you can also start playing their weekly promos to make some good steady income over time. Make sure going forward that if the stake is not returned with your bonus bet (this is the case 95% of the time and with Sportsbet) that you enter the stake not returned amount into the calculator. Yes, you can use Betfair as the betting exchange for all the matched bets you place regardless of what bookmaker you are trying to get a bonus from. If you need odds you can just email me and I can find some for you, sometimes Oddsmonkey restricts the Australian bookmakers in their free trial. Just message me if this is the case and I can check for you. Hi in the example step 7B im a bit confused. If i place a back bet of $50 on sports bet at $1.75. And place a lay bet on betfair of $38.88 at $1.76 the two outcomes are as follows. If Sports bet wins i get $87.5 including my $50 bet so im in the positive by $37.5. I then lose $38.88 on betfair and im down $1.38. Makes sense. However if the lay bet wins i get 38.88×1.76 = 68.42 including my bet. So im now in the positive by $29.54. I then lose my $50 bet with sportsbet and im in the negative $20.45. Am i missing something. Placing your back bet @ $50 and lay bet @ $51.17 will leave you with a qualifier loss of $1.39 no matter the outcome of the game and you would then be able to use your $50 bonus bet to turn into a $35+ guaranteed profit. Thanks for explaining all of this. I’ll give it a go for sure and let you know what happened. No problem at all mate, just remember to take it slow the first time you do it and make sure you understand how it all works and you will be fine. If you have any questions or have trouble finding close back/lay odds just let me know. Hi Barry – how did you go? I stumbled across this yesterday and are completely confused! If you need anything explained further just email me at Dave@MatchedBettingOz.com and I will help you out. Is this only available for first time users on sports bet? I.e those applicable for sign up bonus bets? If you already have a Sportsbet account you can move on to the other free bonus bets from the rest of the online bookmakers. The reason I use Sportsbet in my tutorial to start is because it is the easiest to complete. However, once the sign-up bonus bets are complete you can keep making profits with all the bookmakers. We do this with the weekly promotions they offer. They are posted in the Facebook group. If you want to get involved let me know at Dave@MatchedBettingOz.com and I can add you. I cannot find any Australian sites on Oddsmonkey oddsmatcher, I presume I cannot sign up to any of the UK bookies (or can I ? ) The free version only gives 2 UK bookies, any advice to give me Dave. To do this in the UK you would need a UK proof of address to verify with the bookmakers. Regarding the 2 bookies available with the free version. This is only the case on some free accounts and hopefully it reverts back soon. In the meantime if you have trouble finding close odds to place your qualifier bet just let me know at Dave@MatchedBettingOz.com and I can help you. A good way to manually find close back and lay odds, go for the AFL/NRL games, you can always find very low qualifier losses with these. Then to get the profit from the free bet the EPL (English Premier League) usually has good close back and lay odds to get a guaranteed 70%+ profit on your bonus bet. 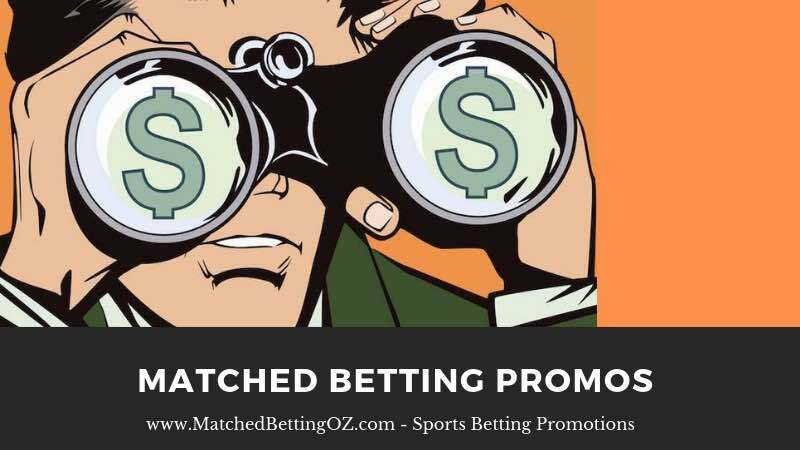 If you have trouble finding close odds to place your qualifier and bonus bet just let me know at Dave@MatchedBettingOz.com and I can help you find a good game. Hello, do you need a new email address every time you want to try this again? How do you continue to receive the match bet? Only one email address is required, once the initial sign-up bonus bets are complete from all the bookmakers you can keep making profits. At this stage, you should be up about $2000+. We then use the weekly promotions they offer. They are posted in the Facebook group. If you want to get involved let me know at Dave@MatchedBettingOz.com and I can add you. I’ve just moved to New Zealand from the uk. Are most Aussie bookie promos open to NZ residents as well? The best thing to do is jump on the live chat feature on the bookmaker website and confirm if members for NZ can join. If so then the process will be the exact same. Hey Dave.. Can people from Uganda Africa do matched betting as well? Essentially any country that has an online bookmaker awarding free bonus bets you will be able to do this. I do not know if this is the case in Uganda. once the initial sign-up bonus bets are complete from all the bookmakers you can then focus on sustaining profits each week. At that point, you should be up about $2000+ in profit from the sign up bets. We use the weekly promotions they offer. They are posted in the Facebook group. If you want to get involved let me know at Dave@MatchedBettingOz.com and I can add you. Dave, I’m from the U.S. and have a couple questions. Is this legal in the U.S. and if so what sites do you suggest? As of now I am only knowledgable about the Australian and UK markets. This method would however work with any bookmaker that lets you sign up and that offers promotional and bonus bets. Hey just curious. If i put a soccer bet on. Team a to win back bef and team a to loose lay bet. If team a and team b draw i loose everything right? After you bet on team A to win with the bookmaker, on the exchange you are then betting that team A will simply not win the game. I hope this clears things up a little, the lay always covers the other possibilities of the outcome of your back bet so no matter what the outcome of the game you do not lose your initial deposit. Hey mate, thanks for this tutorial. Can someone in United States do this? Anywhere you can place online bets with promotional markets or get a sign up bonus the same method would apply. Personally I don’t have experience with the US market, just Australia and the UK but there is not reason it would not work if the bonus offers are similar. Whenever i press ‘find bets’ on freebets4all auto matcher, it redirects me to the Sportsbet homepage. Why? This is just them using the pop of to make money from advertising on their website. It should open in a new tab so so you can just close it down and continue to use the oddsmatcher. Alternatively Oddsmonkey have recently added some Australian sites to their oddsmatcher and its free to use. There is no need to sign up for the paid version to use it. Have been looking into this & was keen to make a start on it, I live in Victoria-Australia, and every betting site I go to to sign up & get the bonus bets says in the T&C’s that it excludes Victorian residents ? Is there any way around this ? Hey mate thank you for this method I’m going to try it soon I’m broke and need to start getting some money in (I have a few medical problems and can’t work at the moment) for my family may I ask if there is a video tutorial for doing this as I do not want to screw it up? Thank you for your time! Bonusbank Review & New Tools For More Profit!